Our adventure started with driving to get a tree. 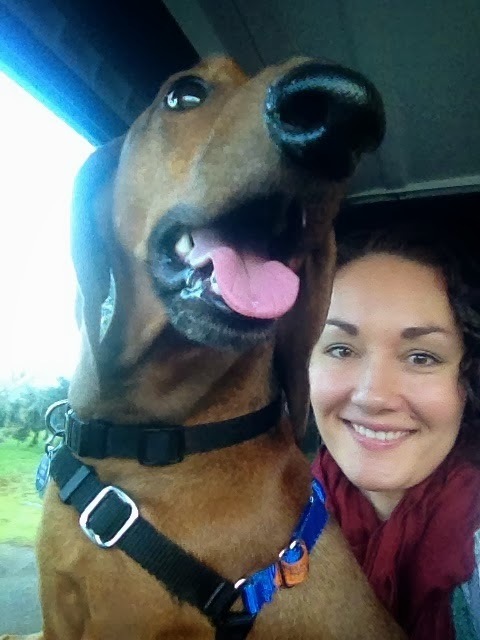 Jessi took this photo that makes Vinnie look huge! We found, and cut, the perfect tree and somehow managed to get a perfect picture too. Jessi made this angel in kindergarten. 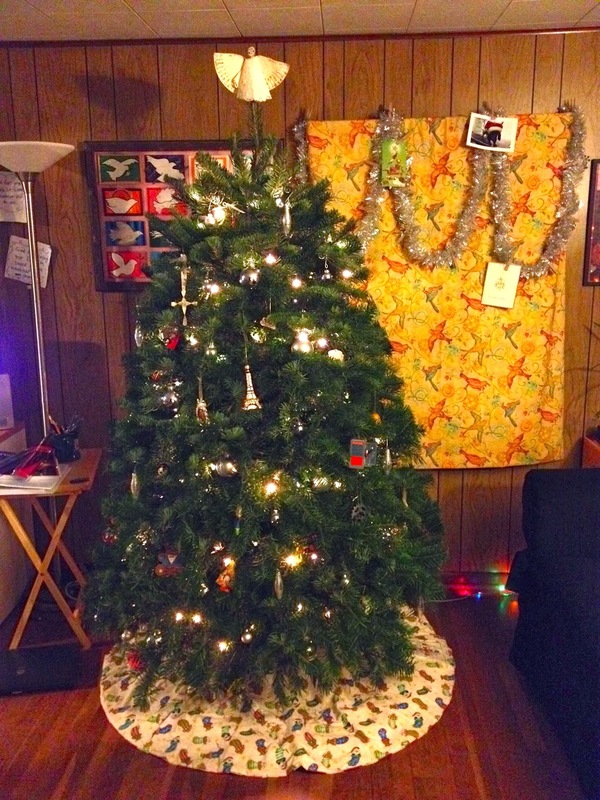 Here's what the tree looks like all decorated! 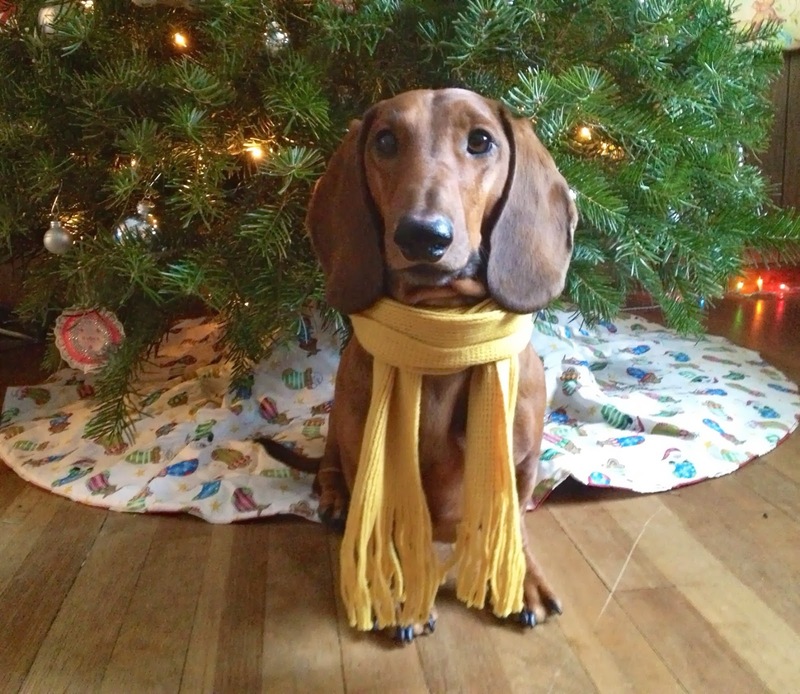 I made a joke that Vinnie would look super cute in a scarf. Then this happened. We also set up a nativity scene on one of our bookshelves. This nativity set used to belong to Jessi's Grandma Christian. 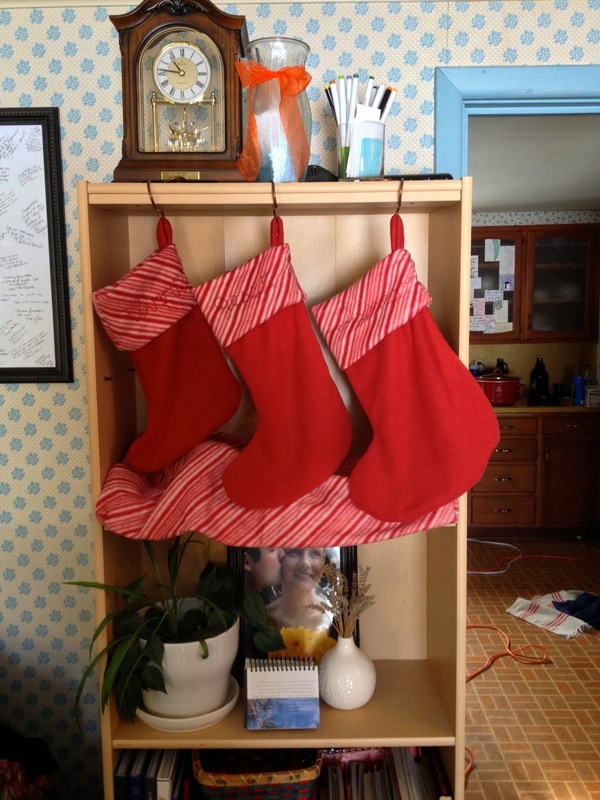 Then we set up our stockings on the other bookshelf. Finally, we decorated outside... In the middle of a snow storm. We went for a classic look with snowflakes in the windows. We didn't want to set the bar too high, that way other families would feel like they could do it too. It looks really pretty with the snow. And we're proud to say that at least one other family decided to get their act together and put up some of their own lights.